31/05/2015 – WCA & COTA-DL pedition of DH0KAA/P to Schloss Frens abd Burg Hemmersbach! – Ingo DH0KAA will be active on the 31st of May 2015 from Schloss Frens, WCA: DL-04376, COTA-DL: KAB-069 and Burg Hemmersbach, WCA: DL-04810, COTA-DL: KAB-422 located in Naturpark Rheinland, WWFF: DLFF-102. He plans to work as DH0KAA/P on 40 and 20 meters SSB from 07:00 UTC. QSL via bureau. 73 & 11! [tnx info DH0KAA]. 31/05/2015 – WCA pedition of LY1CG/P and LY3IV/P to Medininkai Castle! 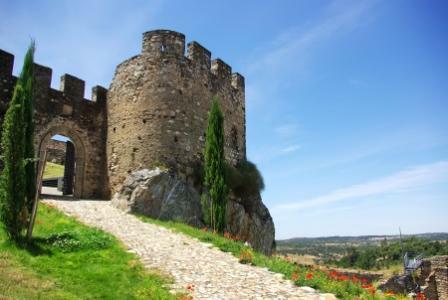 – Wlodek LY1CG and Rolandas LY3IV will be active on the 31st of May 2015 from Medininkai Castle, WCA; LY-00007. They plan to work as LY1CG/P and LY3IV/P from 07:00 till 11:00 UTC on all bands CW/SSB/Digital. QSL via Home Calls, bureau or direct. 73 & 11! [tnx info LY3IV]. 30/05/2015 – WCA & COTA-DL pedition of DL0IL/P to Gut Langfort! – Vinny DL6II will be active on the 30th and 31st of May 2015 from Gut Langfort, WCA; DL-04842, COTA-DL: NRB-140. He plans to work as DL0IL/P on 70cm – 80 meters. Sked are welcome. QSL via DARC bureau. 73 & 11! [tnx info DL6II]. 27/05/2015 – WCA & COTA-DL pedition of DL5CX/P to Burg Lenz! 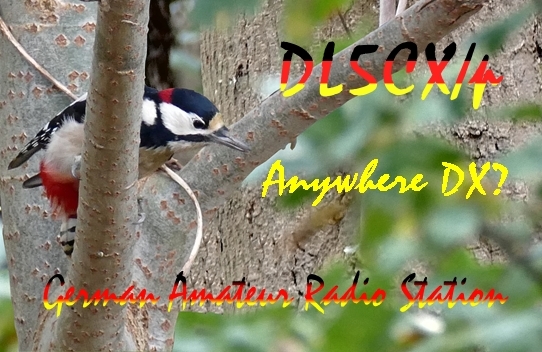 – Guenter DL5CX will be active from 27th of May till 8th of june 2015 from Burg Lenz, WCA: DL-00203, COTA-DL: MVB-006. He plans to work as DL5CX/P on all bands. QSL via Home Call. 73 & 11! [tnx info DM4XUG]. 25/05/2015 – Photoreport about activity of EA8CDW/P from EA-01914! 24/05/2015 – WCA & COTA-DL pedition of DL1JKK/P to Castle ruins Geilsdorf! – Karl DL1JKK will be active on the 24th of May 2015 from Castle ruins Geilsdorf, WCA: DL-04462, COTA-DL: SAX-281. He plans to work as DL1JKK/P on 40 meters and 20 meters beginning about 07:00 UTC. QSL via DARC bureau. 73 & 11! [tnx info DL1JKK]. 22/05/2015 –New members of WCAG! 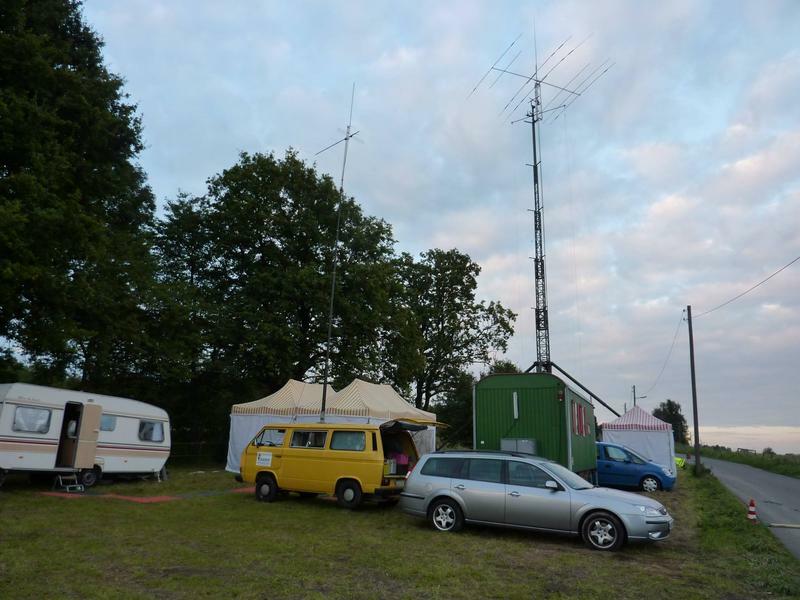 20/05/2015 – Photoreport of YU2TT/P about activation YU-00019! 17/05/2015 – Journee Nationale des Chateaux! 17/05/2015 – WCA & DFCF pedition of F8FSC to Chateau de La Sauge! – Laurent F8FSC will be active on the 17th of May 2015 and participate in JNC from Chateau de La Sauge, WCA: F-06208, DFCF: 39-052 located in St. Lamain. He plans to work as F8FSC/P on all bands. QSL via Home Call. 73 & 11! [tnx info F8FSC]. 17/05/2015 – WCA & DFCF pedition of F5NEP/P to Tour du Chateau D’Orgeres! – Lionel F5NEP will be active on the 17th of May 2015 and participate in National Day of French Chateaux from Tour du Chateau D’Orgeres, WCA; F-06207, DFCF: 61-164. He plans to work as F5NEP/P on 80, 40, 20, 15 and 10 meters. QSL via Home Call. 73 & 11! [tnx info F5NEP]. 16/05/2015 – WCA & COTA-DL pedition of DL1JKK/P to Castle ruins Mechelgruen! – Karl DL1JKK will be active on the 16th of May 2015 from Castle ruins Mechelgruen, WCA: DL-04463, COTA-DL: SAX-282. He plans to work as DL1JKK/P on 40 meters and 20 meters beginning about 07:00 UTC. QSL via DARC bureau. 73 & 11! [tnx info DL1JKK]. 16/05/2015 – WCA & DCFP & DMHP pedition of CR6AG to Alegrete Castel! – The operators of Clube Radioamadores do Entroncamento CS5CRE will be active on the 16th of May 2015 from Alegrete Castel, WCA: CT-00096, DCFP: C-096, DMHP: PG-006, DMP: 1214. They plan to work as special callsign CR6AG on all bands SSB and Digital modes. QSL info on QRZ.COM. 73 & 11! [tnx info CT1BQI]. 16/05/2015 – WCA & COTA-PA pedition of PC6LC to Castle Loevestein! – Marcel PD2MZ will be active on the 16th and 17th of May 2015 from Castle Loevestein, WCA/COTA-PA: PA-00164. He plans to work as special callsign PC6LC on all bands. QSL info via PA9F, bureau or direct. 73 & 11! [tnx info PD2MZ]. 11/05/2015 – Bravo Radio Friends: Castle Hunter Award 2015! The international DX club Brave Radio Friends sponsors this award which can be obtained each year anew by amateur radio operators or SWLs for contacts with/heards of stations from at least 20 different castles worldwide in a calendar year. There is a different award design for each year. The first calendar year for which you can apply for the award is 2005. Just send in a list of QSOs with stations from twenty castles worked/heard in the respective year. There is only one award class. All the years from 2005 until 2014 are available. To obtain the Castle Hunter Award 2015, you must work or hear stations from 20 different castles in 2015. 10/05/2015 – WCA & CISA pedition of YT2KID/P to Ravanica Monastery! – Dragan YT2KID will be active on the 10th of May 2015 from Ravanica Monastery, WCA/CISA: YU-00033. He plans to work as YT2KID/P on 40, 20 and 17 meters only SSB. QSL via bureau or direct. 73 & 11! [tnx info YT2KID]. 10/05/2015 – WCA & COTA-DL pedition of DH0KAA to Burg Satzvey and Burg Zievel! – Ingo DH0KAA will be active on the 10th of May 2015 from Burg Satzvey, WCA: DL-04377, COTA-DL: KAB-070 and Burg Zievel, WCA: DL-04385, COTA-DL: KAB-074 located in Hohes Venn Eifel, WWFF: DLFF-047. He plans to work as DH0KAA/P on 40 and 20 meters SSB. QSL via Home Call, bureau or direct. 73 & 11! [tnx info DH0KAA]. 10/05/2015 – WCA & DCI pedition of IQ4FA/4 to Castello O Rocca di Monte Battaglia a Casola Valsenio! 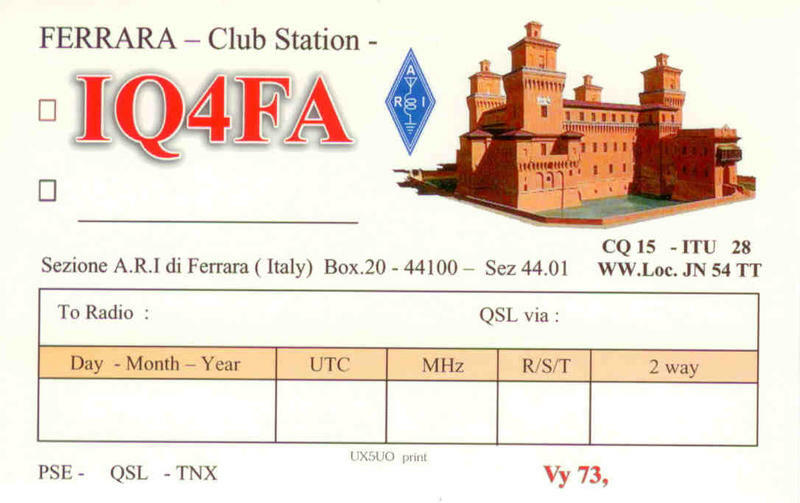 – Enrico IU3AZC and Davide IU4AOY will be active on the 10th of may 2015 from Castello O Rocca di Monte Battaglia a Casola Valsenio, WCA: I-07985, DCI: RA-009. They plan to work as IQ4FA/4 on 40 and 20 meters from 07:00 till 11:00 UTC. 73 & 11! [tnx info IQ4FA]. 09/05/2015 – Photoreport about activation of HB9HI/P to Chateau de Lucens! 09/05/2015 – WCA & COTA-DL pedition of DA0WCA to Schloss Rotes! 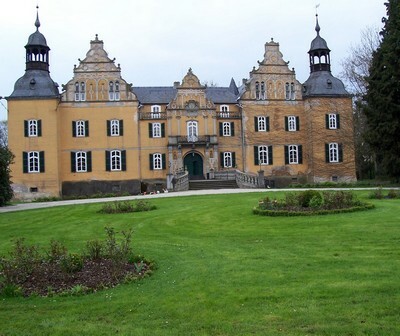 – Manfred DF6EXwill be active on the 9th of May 2015 from Rotes Schloss, WCA: DL-03141, COTA-DL: FBN:-313 located in NP Fichtelgebirge, WWFF: DLFF-058. He plans to work as DA0WCA from 06:30 UTC about 2,5 hours on 20 and 40 meters CW/SSB. QSL via bureau. 73 & 11! [tnx info DF6EX].